A rich blend of full-bodied Indian Assam teas paired with succulent Ceylon Dimbula, intense and floral Ceylon Uva, and a touch of smoky Keemun from Anhui Province in China. The perfect breakfast tea. But sophisticated and delicious any time of day as well. Number of tea gardens visited in Assam. Also a good age to begin voting for tea over coffee. Second flush Indian Assam, Ceylon Dimbula, Ceylon Uva and Keemun full leaf teas from China. For best flavor, bring spring or freshly drawn filtered water to a boil (212 degrees). Steep five minutes. Adopt a peaceful sense of command over all that you survey. Assam tea is the biggest, brightest, richest and most astringent tea made. It is the backbone to breakfast style teas of nearly all brand and quality although it is also used in many blends for body and top notes. 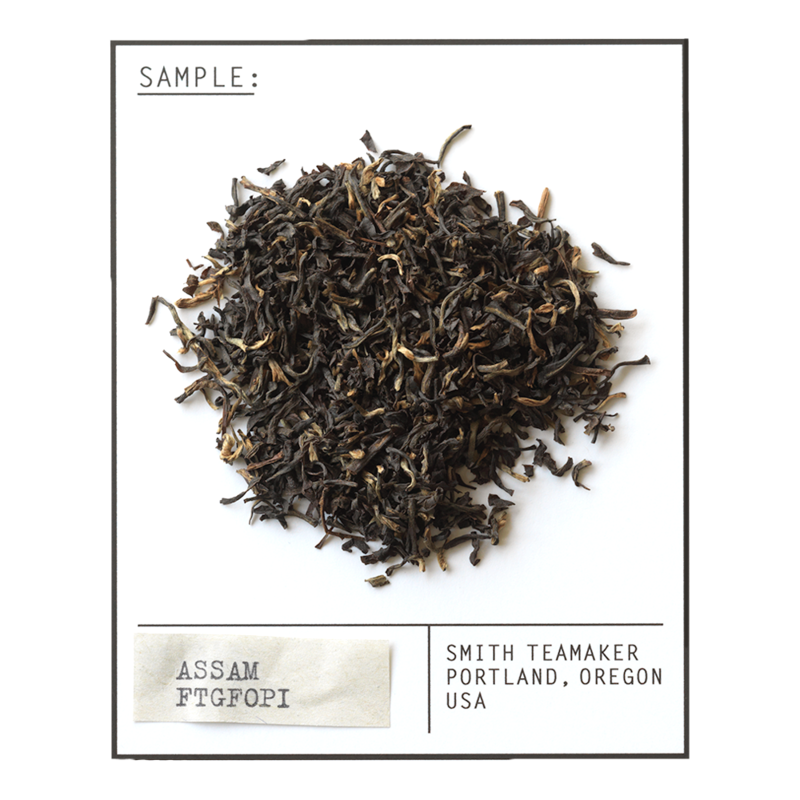 Assam is less floral and has more bread or biscuit-like flavor than other origins, and is often described as malty or coppery. The Assam region is located in Northeast India, bordering Myanmar and China. At near sea level, this region produces teas that are full flavored, rich, and chewy with distinct characteristics of caramel and malt. The best teas from this region are plucked and processed in June and July, a harvest also known as the 2nd Flush. The Dimbula region is directly opposite the Uva region in Sri Lanka. Dimbulas are often called “Westerns” in the tea trade. They have a reddish amber color in the cup, with a medium to full body, slightly fruity flavor and mineral notes. 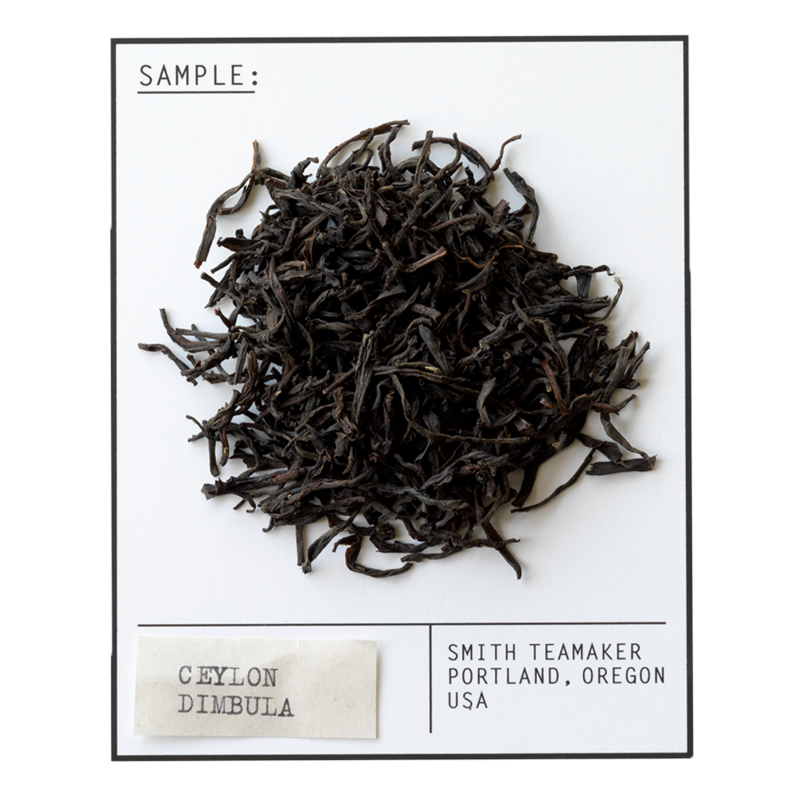 Ceylon Dimbulas are often used in medium bodied blends, Earl Grey formulas and other flavored teas. The best Dimbula teas are produced from December to February. The Central Province, true to its name, is located in the heart of Sri Lanka. It is said that in its capital city of Kandy, the tooth of the Buddha resides in a temple, which alone makes this place worth visiting. Here at Smith, just as holy, are the many breathtaking high elevation tea gardens that make a significant contribution to the total output of high grade Sri Lankan teas, which we look to buy between the months of December to February. Keemun tea is grown in the mountainous region of Eastern China called Anhui Province. There are many grades of Keemun, with Hao Ya being one of the best. 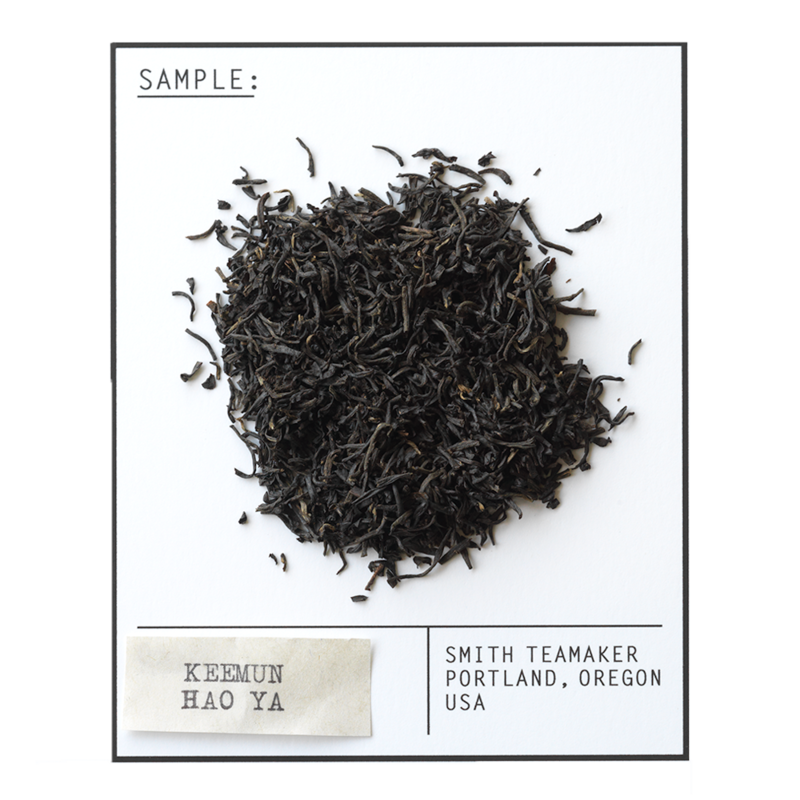 Keemun Hao Ya has a very thin, wiry and tightly twisted leaf that is black with grey hues. This brings a unique, slightly smoky flavor and aroma that reminds us of camping on the Oregon coast. A great self drinking tea, tasty neat or with milk and sugar. Qimen County is located in western Huang Shan Shi Prefecture in southern Anhui Province of China, and is famous for making one of the world's best black teas—Keemun. The county is still very rural compared to other parts of China, so it's the perfect place to slow down, kick up your feet and drink some fantastic tea. Harvest times are in the Spring and Summer.